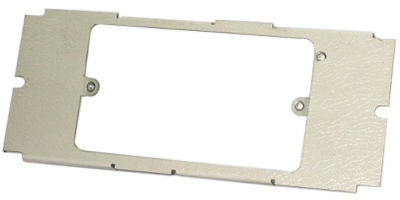 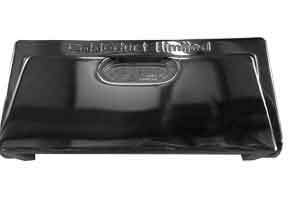 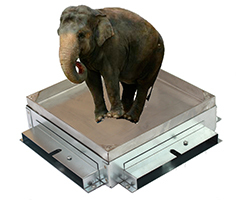 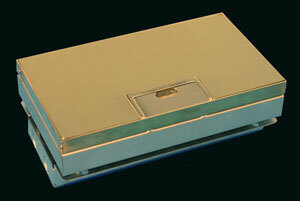 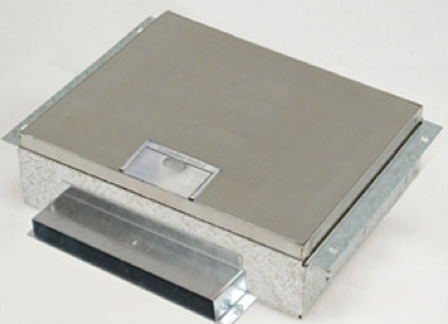 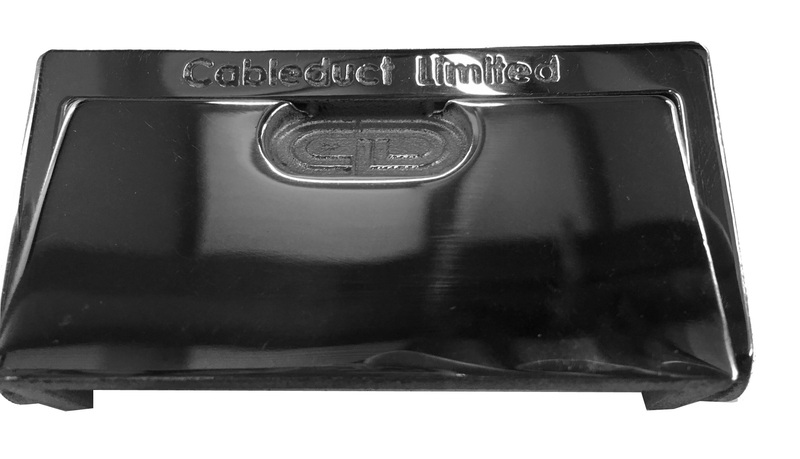 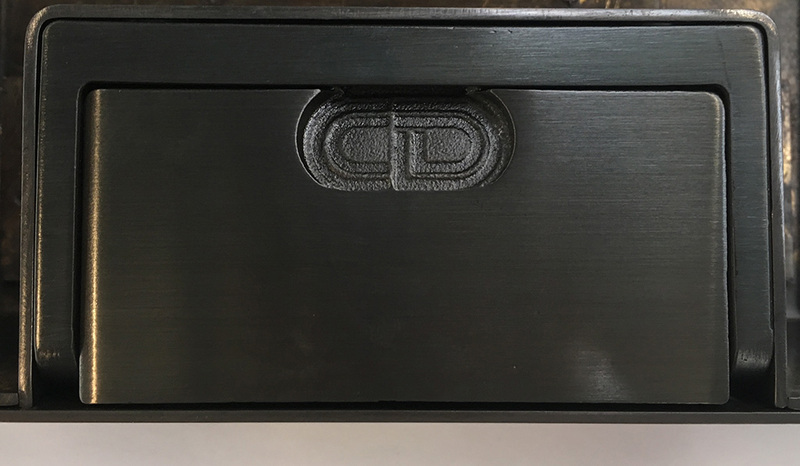 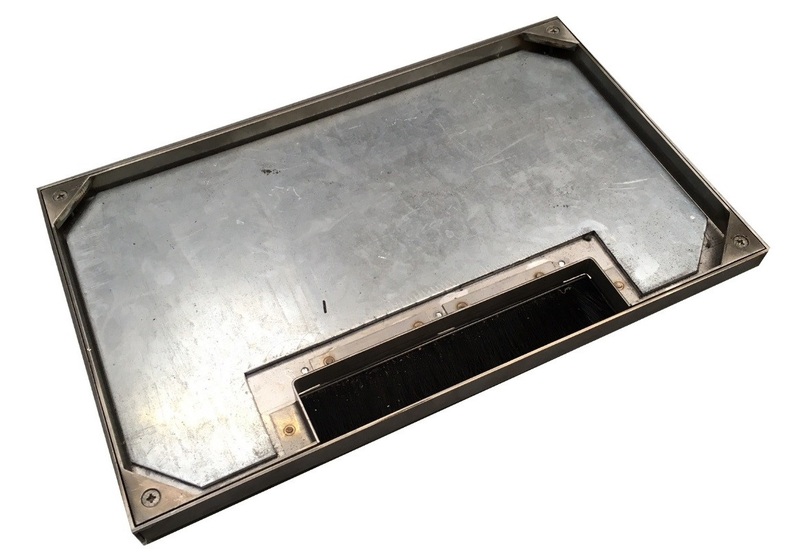 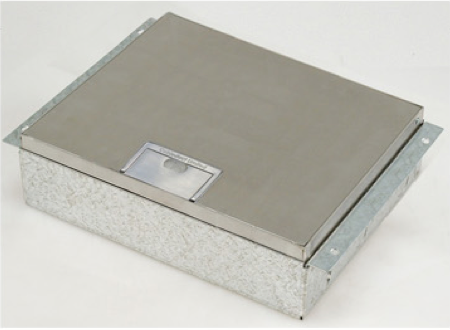 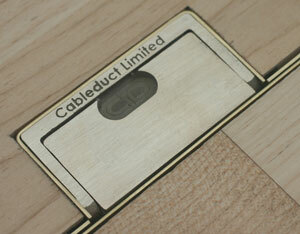 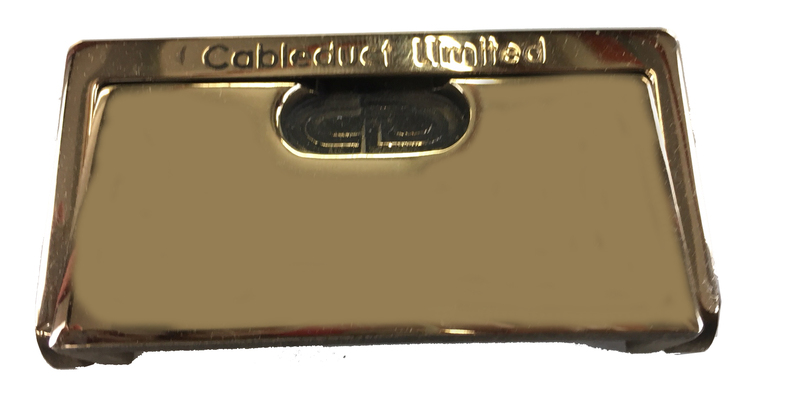 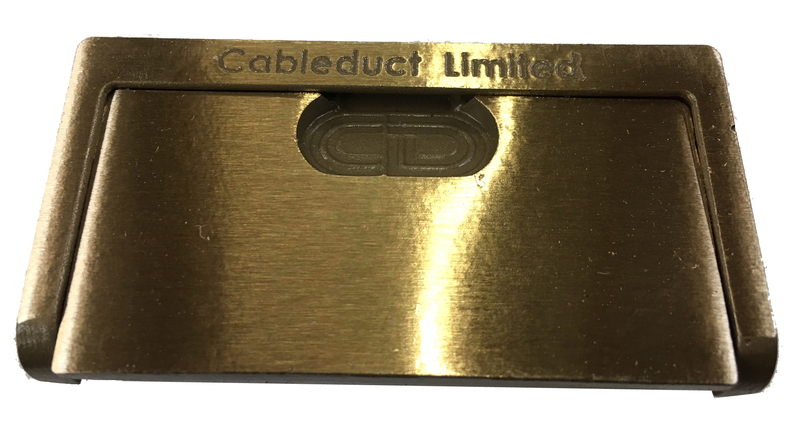 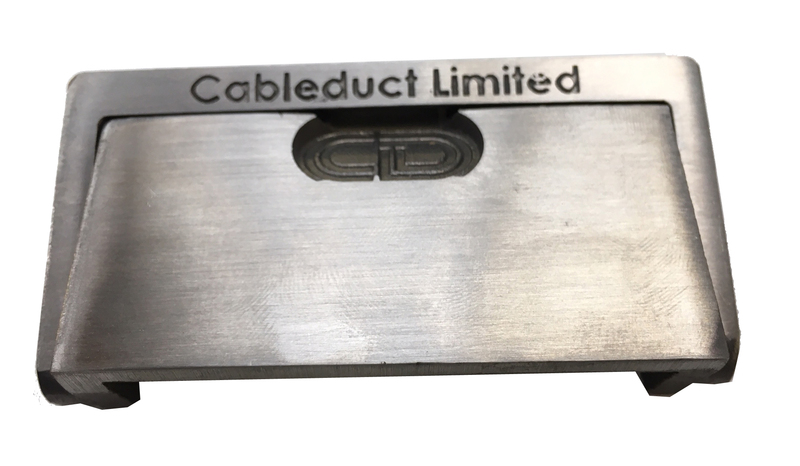 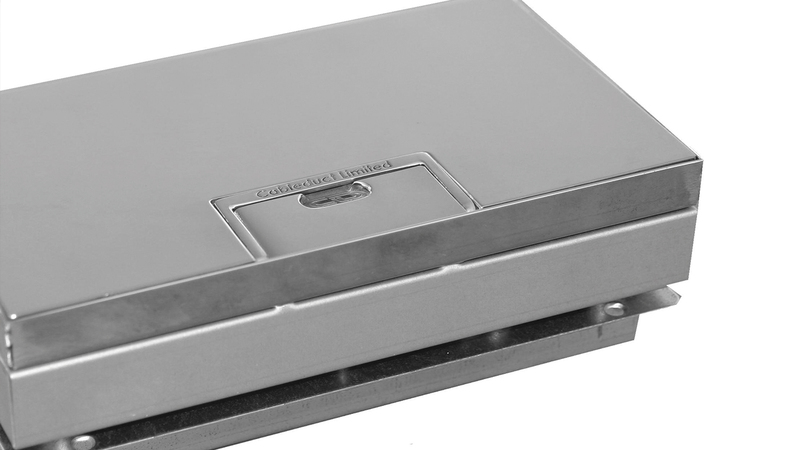 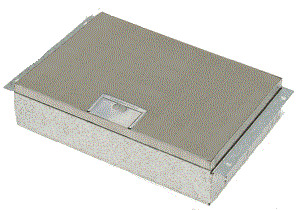 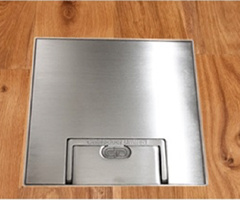 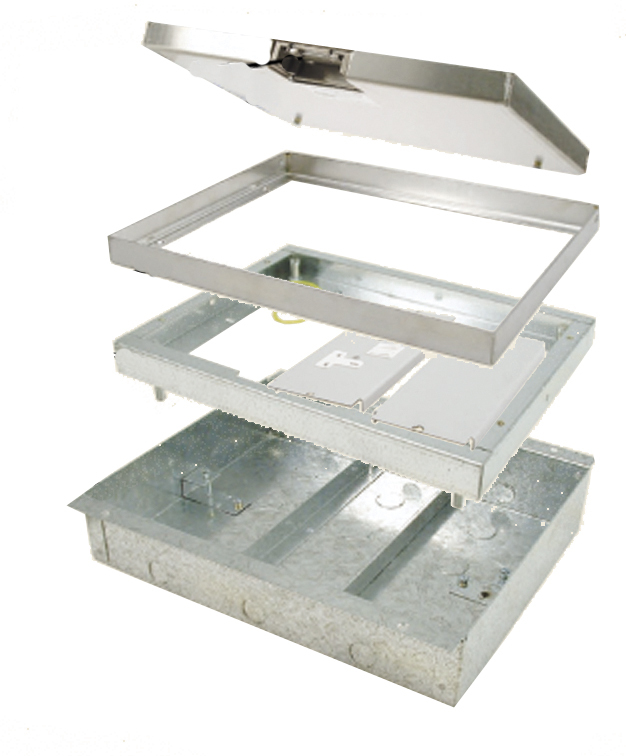 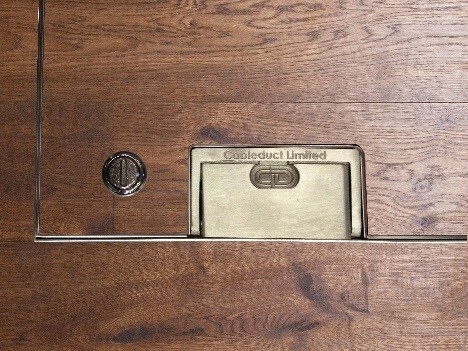 Cableduct Limited - 700 Series Stainless Steel and Brass floor box. 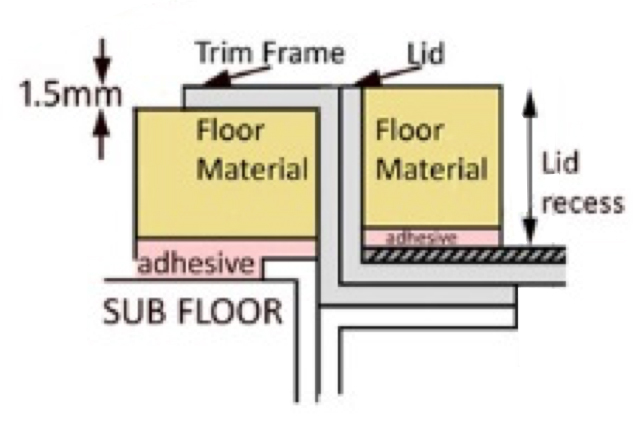 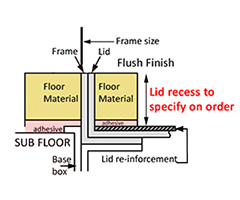 Detailed information about the 700 series. 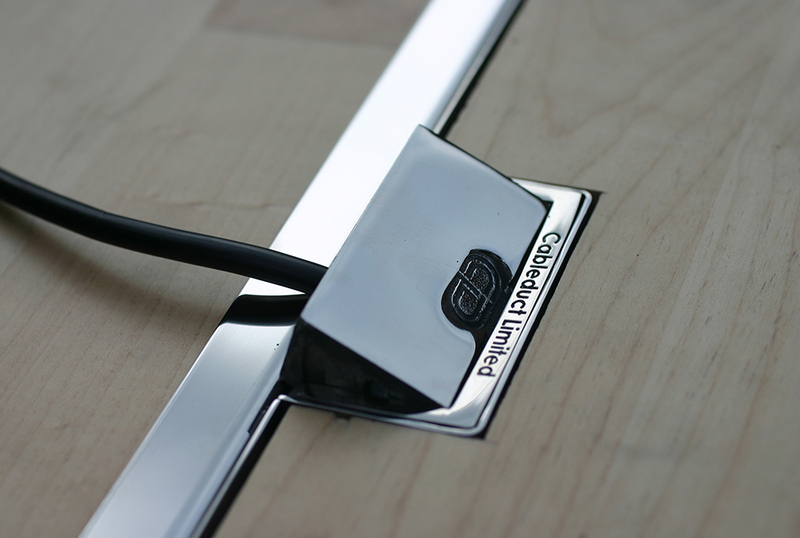 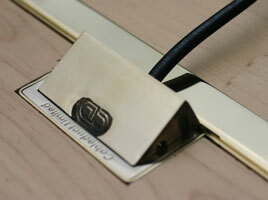 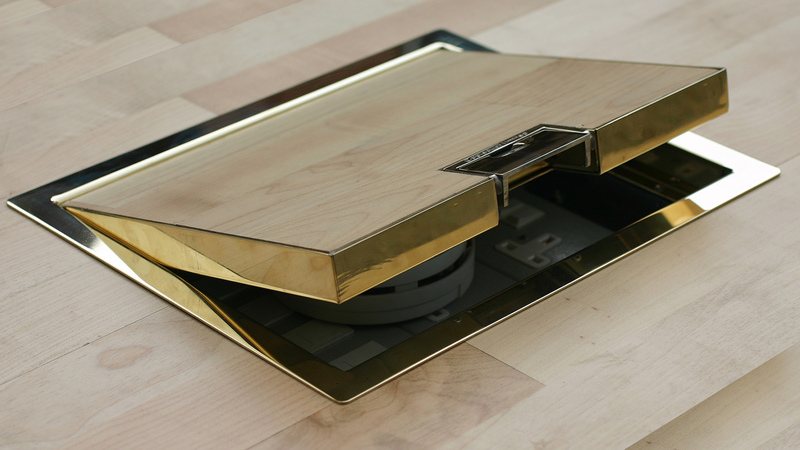 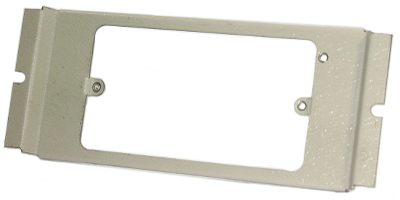 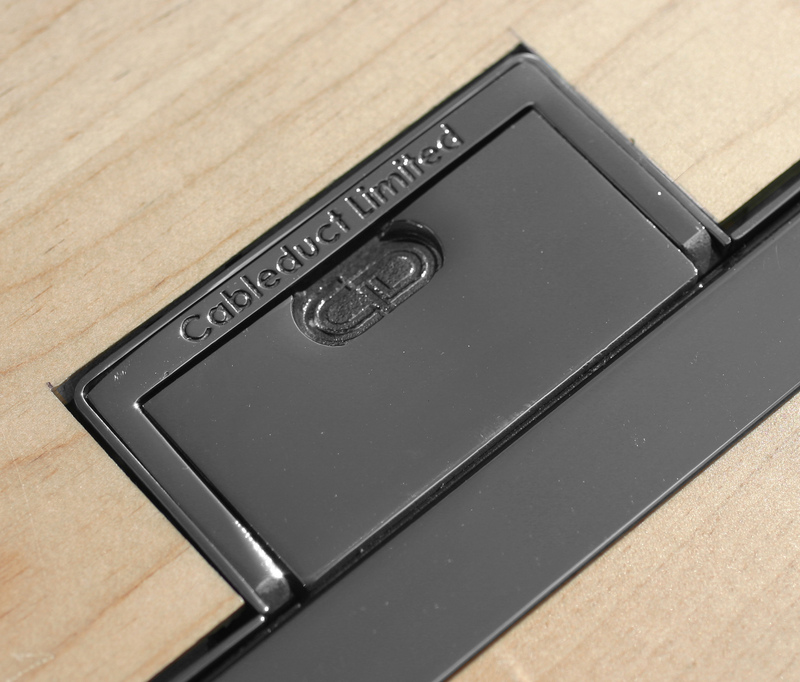 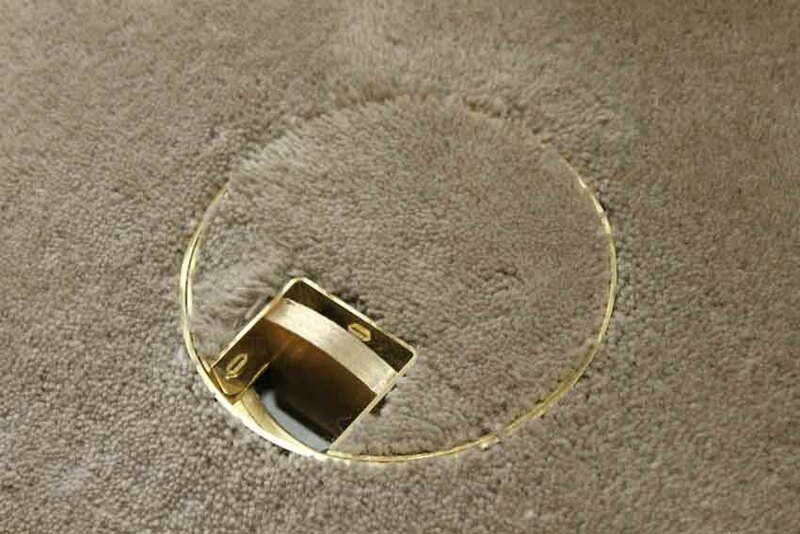 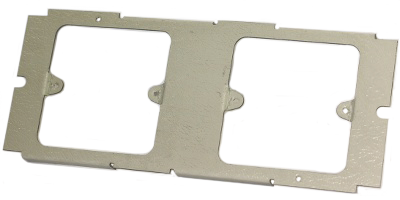 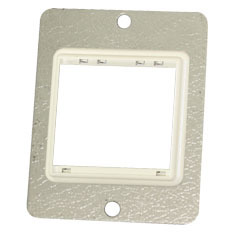 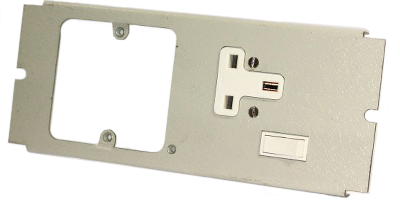 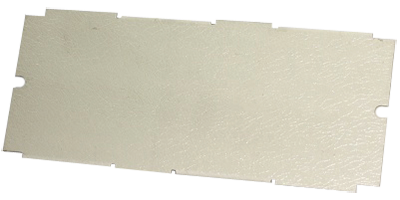 Cableduct’s 700 Series has a solid cast outlet flap and handle in brass or stainless steel to match the lid. 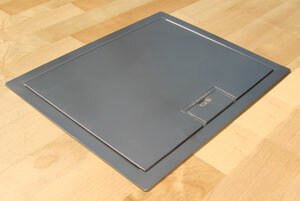 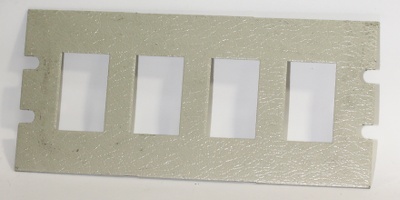 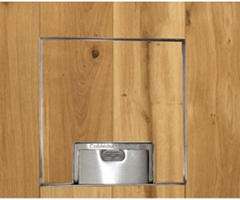 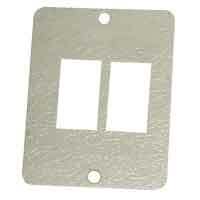 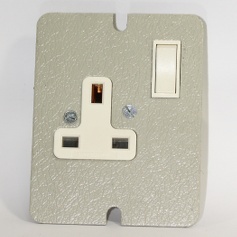 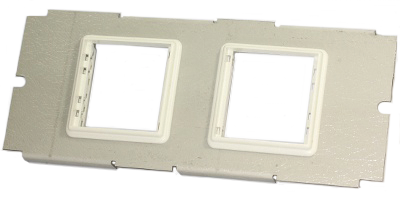 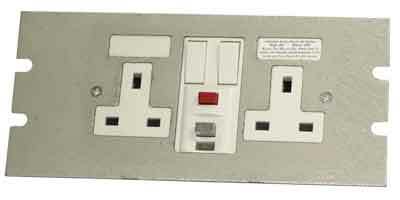 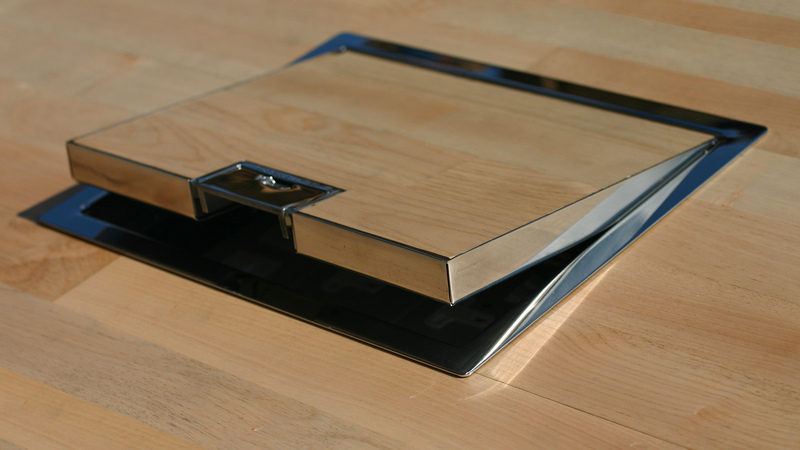 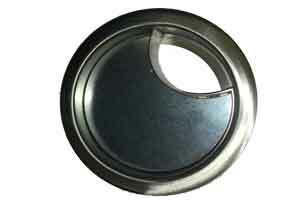 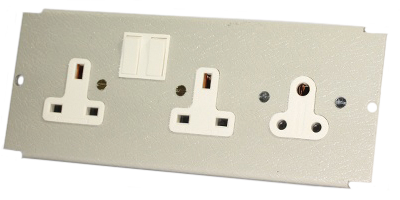 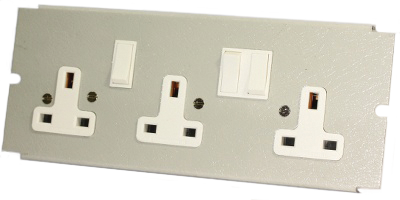 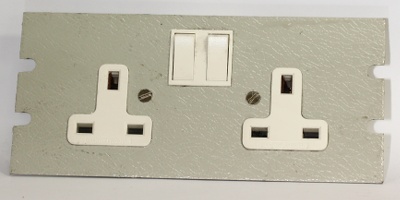 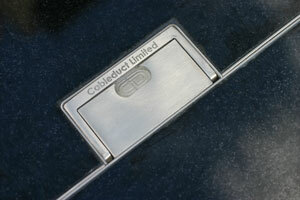 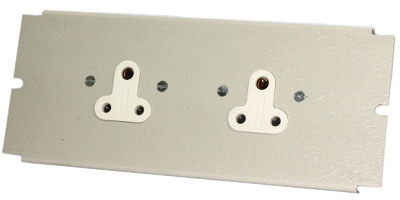 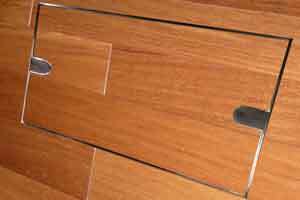 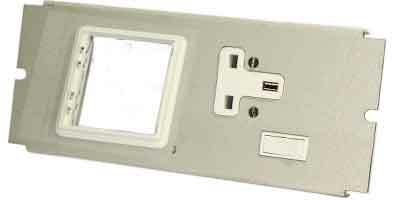 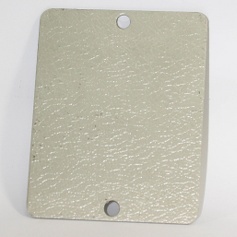 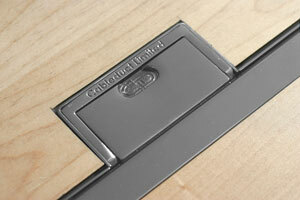 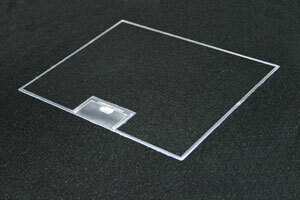 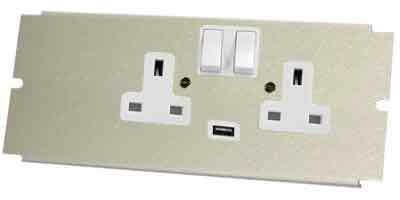 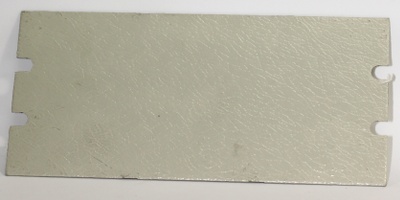 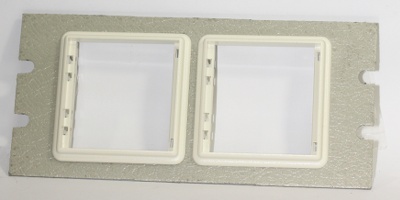 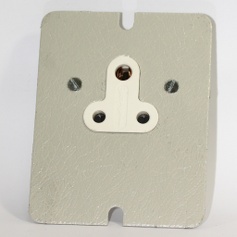 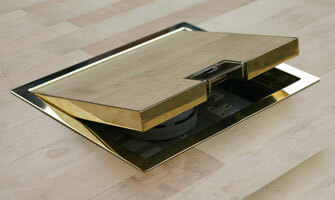 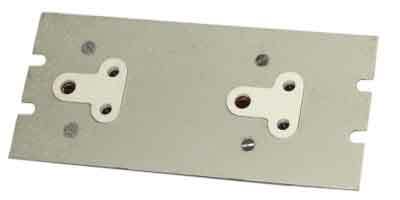 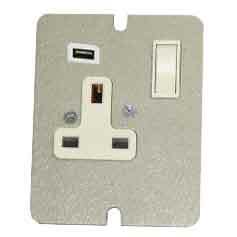 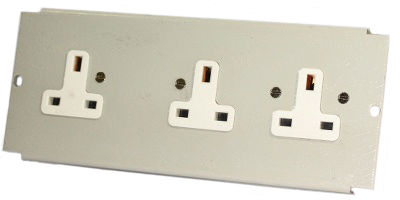 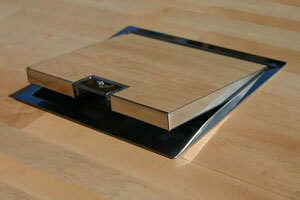 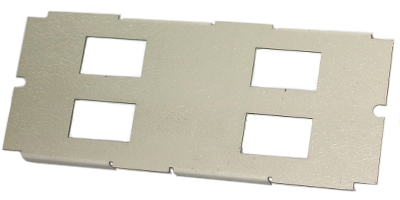 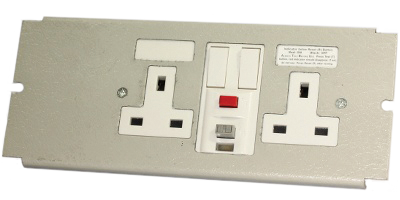 All boxes are supplied as standard with a single satin polished outlet flap. 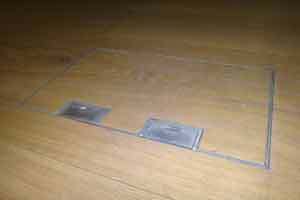 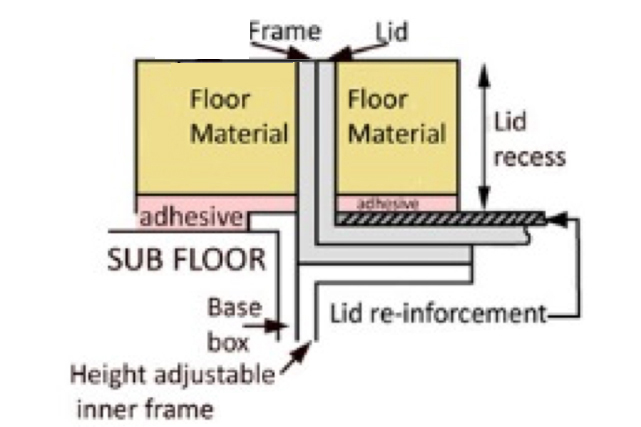 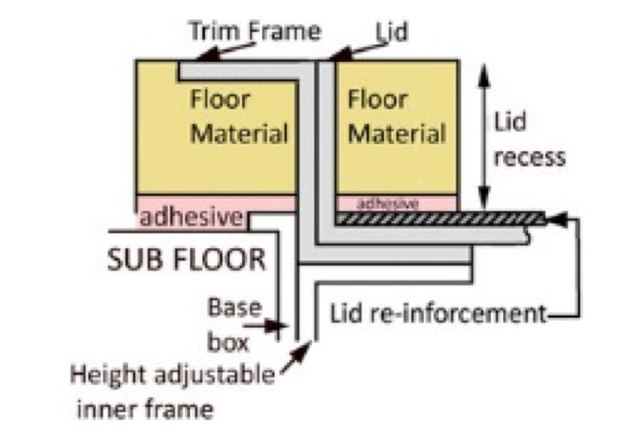 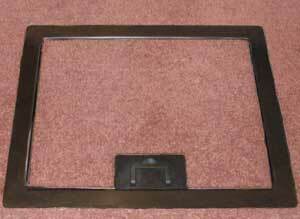 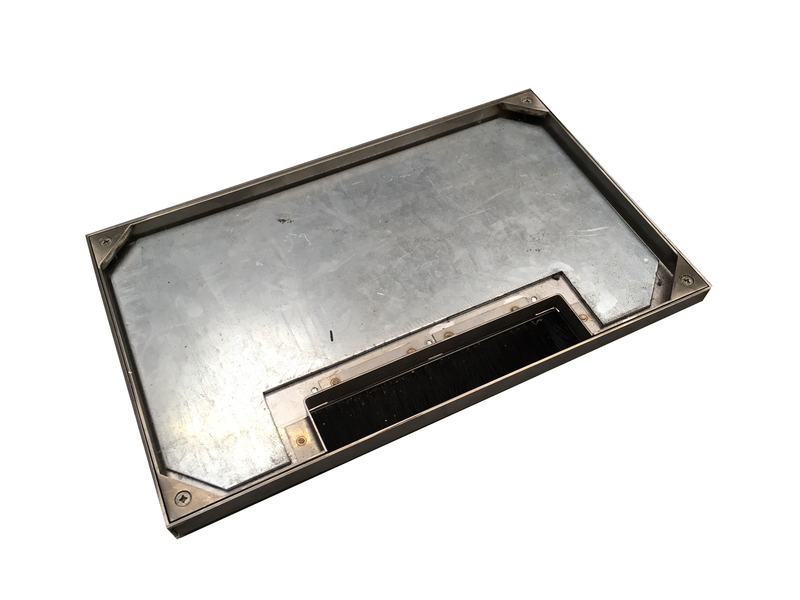 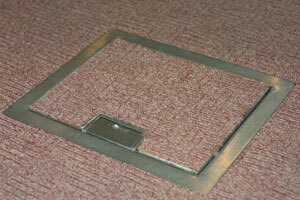 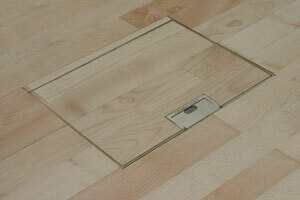 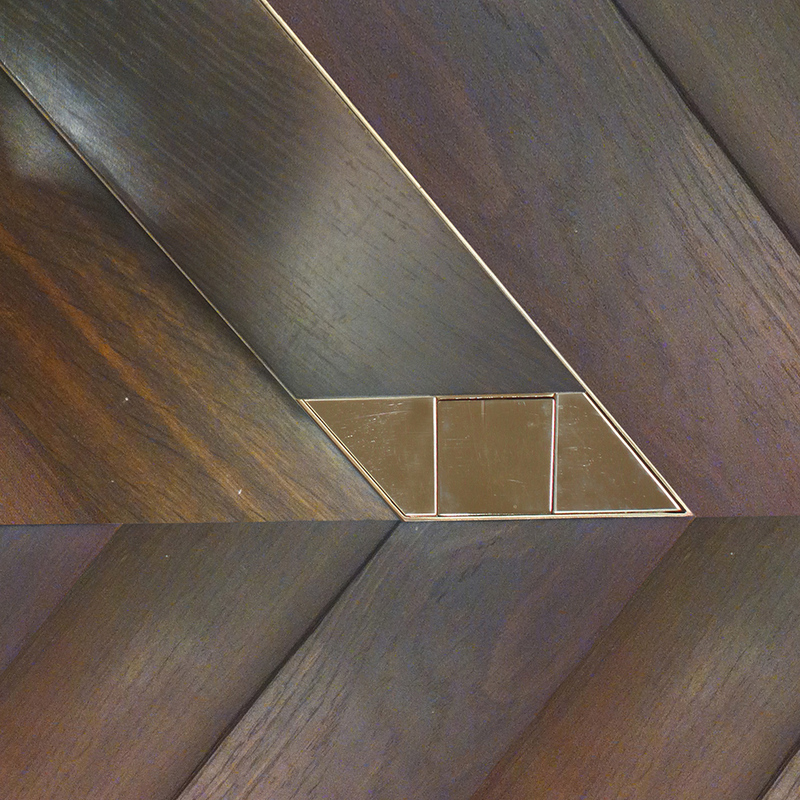 If the finished floor is already laid, the retro style box allows a hole to be made to exactly fit the top frame. 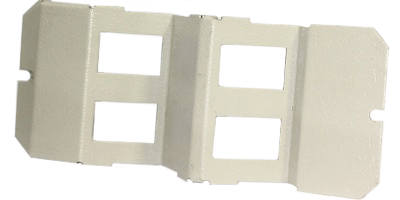 The base must be site fixed. 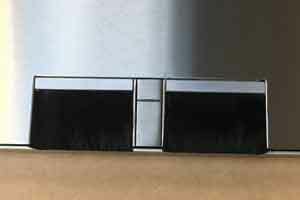 Only upward adjustment is possible.